Fixing up the garden with a beautiful little addition of a patio or something similar can bring a whole new, fresh feeling to your life. So brush up on those woodworking and home improvement skills and get ready for some DIY! Several factors may influence your decision when it comes to expanding your home. From lack of space to accommodate a growing family to simply wanting more space—the choice is up to you! Ample space allows us to include more furniture and accessories in our home, as well as not feel like we are cramped and crowded in our own homes. However, one does not always have the biggest budget when it comes to extending our home—which is exactly what this homify ideabook is here for. It will help you to choose the best expansion options available, even when your pockets are a bit short. We sincerely hope that the following helps you to generate ideas and be inspired to expand and recreate the spaces in your own home. Replace a concrete wall with transparent glass walls and you'll expand a room quickly and simply. It works to visually expand a room and bring in a lot more light. The outward extension and views of the surrounding environment gives the feeling of being outdoors thanks to the transparency of the glass, while still being protected from the weather conditions outside. This also brings in much more direct light and heat into the home. Have a look at these other tips for: Bathing your home in natural light. 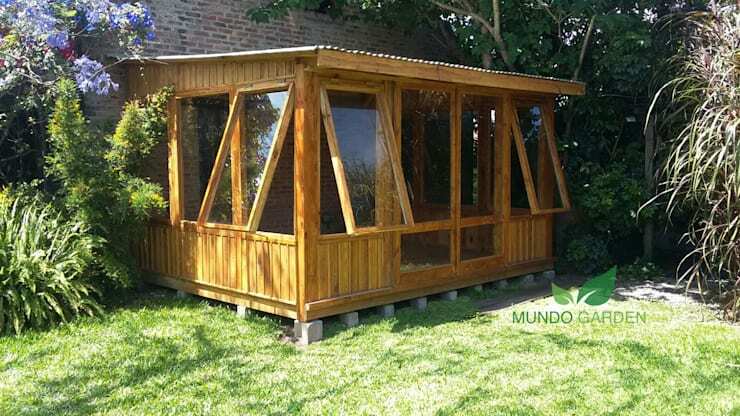 In this design, by professionals Mundo Garden, we can see an alternative solution for extending our homes. The construction of a plastic or wooden hut or shed adds a whole new room to the house. With insulated walls and a solid roof, you will create a unique and intimate space. This specific hut is made from recycled wood and features a practical sliding door. It can be used to create a small spot to enjoy the garden, a study, a workshop or even a bedroom. Have a look at this amazing modern shed house for inspiration! Today modern homes don't often have high ceilings or double height ceilings. However, if you are lucky enough to have high ceilings in your home, then this can be utilized to make new space or an extension in your home. 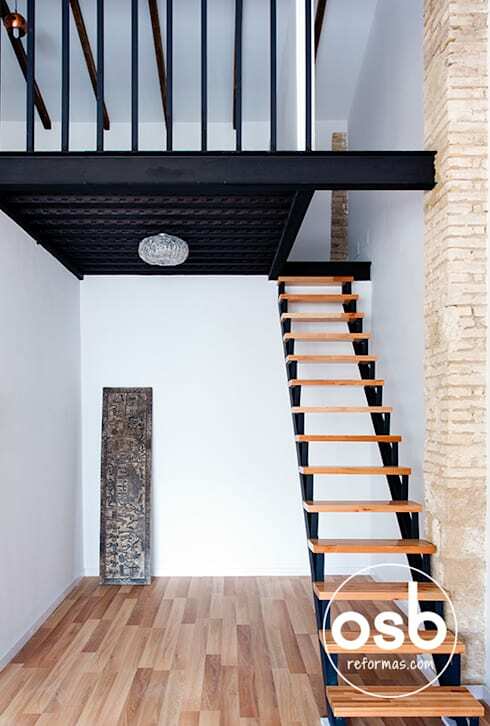 In this design, we can see how a staircase is made of firm iron and wood, which is both elegant and practical. It leads up to an iron platform, creating a whole new room just below the high ceiling. This is a great extension idea for any modern home! To maximise the amount of available space on your property, there is always the option of using a terrace or patio to expand the living space if you have enough space. In this image, the designers remodeled a whole floor taking advantage of a courtyard that was available to the home. This extension was made of concrete, which is both durable and inexpensive. This requires very little maintenance or effort. In this image, we can see how much space is created and thus how many possibilities are available. The designers have chosen very specific patio furniture for this space, including tables and chairs, which form comfortable living spaces among the green spaces. The elegance and comfort contrasts beautifully with the urban bustle. Assembling a low-cost awning is simple can can give you access to intimate spaces that you can share with family or friends. 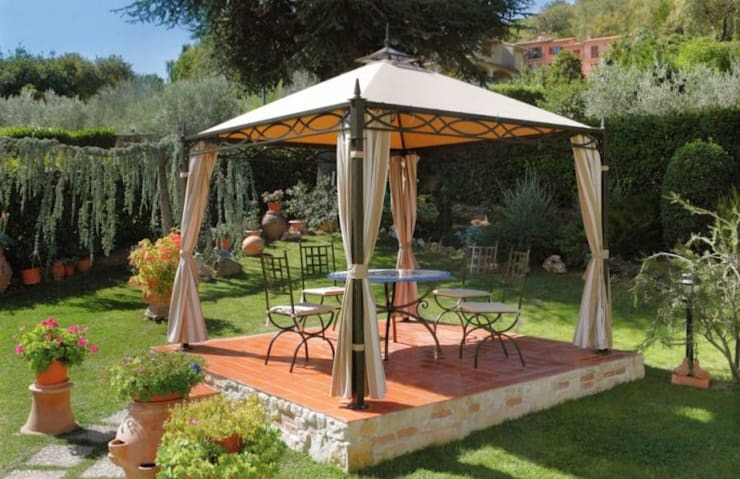 This is a simple structure to install, which occupies space in the garden, allowing it to be surrounded by nature. 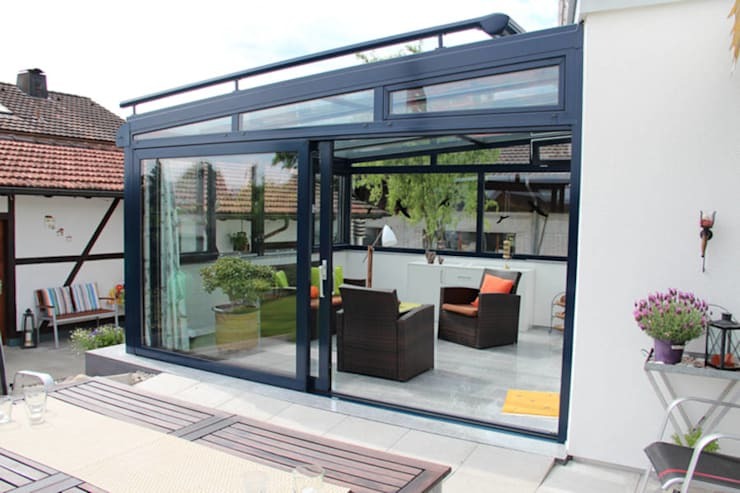 This can be open, like the one in the image, allowing fresh air to flow through, creating a very refreshing and joyous spot for the family to escape to anytime they like. 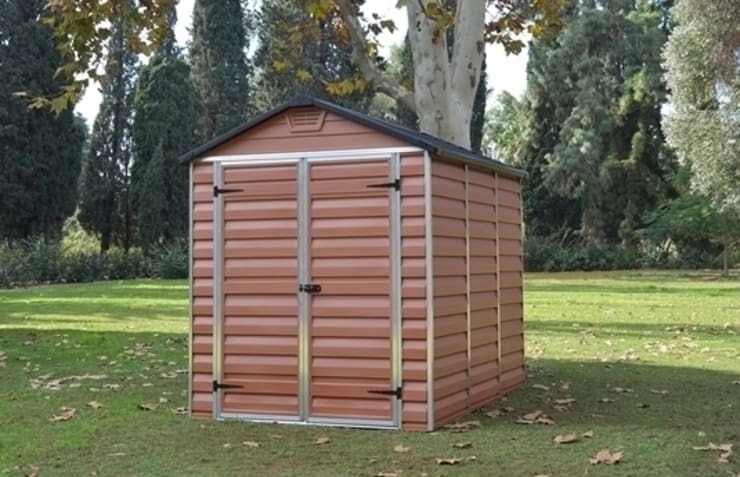 A garage or a shed is the ideal place to store building tools, house workshops or even create your own library. It is separate from the house—like a little hide-away in your own garden. This building is made of high strength materials and is the perfect place to store items neatly away! Have a look at these 6 garage types for inspiration.